Crossroads Contracting is an established, award winning Design/Build Remodeling firm located in Londonderry, New Hampshire. Designing and building Additions, Porches, Garages, Kitchens and Baths as well as whole house remodels and light commercial fit ups. We use a Design/Build approach to create solutions for our customers. Serving NH and MA. Dear Crossroads Crew, We are so grateful to all of you, and especially Sam, that you met our very important completion date in time for the wedding. In spite of record-breaking cold, piles of snow, an overly playful dog, and many other factors that would have been convenient excuses for other contractors to have delays, you all came through. My neighbors kept asking "will it be done on time?" I always confidently answered "yes, it will." We feel as if we bought a new house. It is such a delight to walk through not only the grand new space (now dubbed the studio/exercise room) but also the reinvented fireplace room (we love the white fireplace and the bookcase) and the updated and refreshed main room. Sam and Pete did a superb job painting everything the beautiful shade of gray called Calm. Punch list? It it can be called that, less than an hour and done. Door swap, Pella's. With the walls and bookcases still empty, our home was a blank canvas for the wedding. Our daughter-in-law was thrilled. She also had great good fortune with the weather. Her dream was to be married on our dock with snow around, and she got her wishes. A few days off in either direction and it wouldn't have happened. Thanks also to Jeff and crew for mounting our enormous chandelier with care and patience, in addition to installing all the other lights. And it all started with the initial visionary help from Crystal and Josh. We look forward to having you come see the finished product. We're certain there are others who deserve our gratitude as well, so a big overall THANK YOU to Crossroads. Overall our Bathroom remodeling project was a great experience. Communication with your team was good and I felt like if there were any issues they would be addressed immediately. We even got some help with a roof leak during all of that snow that was quick, timely, saved us from having a lot of damage and was not related to our main project. I felt like working with Crossroads was a great experience. They were referred to us and I would refer them to others. We would use your company again in a heartbeat and would and do recommend your services. Thanks much! I just wanted to take a moment to thank your team for a job very well done. We absolutely love our new Sunroom and have recommended Crossroads to everyone we know! We were extremely happy with the project starting with the very first phone call. I honestly can’t say enough good things about Crossroad’s as a whole. One of our biggest concerns was that the Addition look like it’s been there all along and wasn’t just tacked on the back of the house. Everyone I’ve talked to commented on the fact that it looks like it has always been there. Thank you again for everything, we couldn’t be happier. 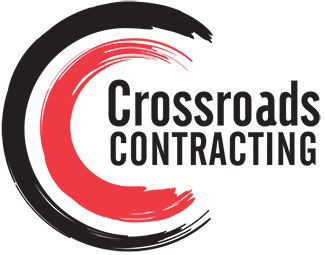 Crossroads Contracting is an excellent company to work with. Our bedroom project went so smoothly. Everything was neat and clean at the end of each day. We would definitely hire them again for our next project. Just wanted to say what a great experience it was working with Crossroads on our project. From the beginning to the end, your personnel and sub-contractors lived up to our expectations. The project was completed on time and within budget. Overall, it was a very pleasant experience. You took a lot of pressure off of us and allowed us to concentrate on other matters. The professionalism of your peopled is top-notch. If we have the opportunity to refer people to you, we won’t hesitate. Again thank you for helping us out! I thought your team was terrific through the whole process. Your work came highly recommended and you didn’t disappoint. Thanks much. We chose Crossroads to complete our attic remodel and we are thrilled with the results. They not only completed great work, but delivered a fantastic customer experience. Thanks for a hassle-free remodel.